Sri Lanka’s former army chief on Friday accused his successor of committing crimes against suspects during the island’s civil war and said he was ready to testify against the ex-military commander. 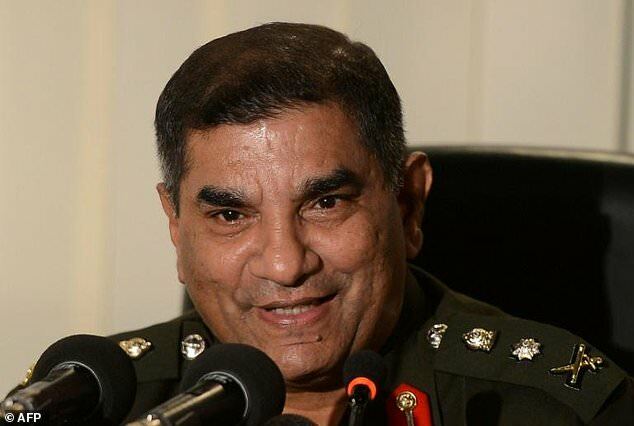 A human rights group this week filed two cases against General Jagath Jayasuriya in Colombia and Brazil, who until recently was Sri Lanka’s ambassador in several South American countries. He was promoted army chief barely three months after the war ended. Sarath Fonseka, Jayasuriya’s predecessor, told reporters in Colombo Friday that he had received complaints against the post-war commander, who was placed in charge of arrested rebel suspects during the final phase of the war. “At that time, I had several complaints against him. It was to do with crimes against suspects in his custody,” Fonseka said. Fonseka added that he was ready to testify against Jayasuriya, who was not immediately available for comment. South African-based rights group the International Truth and Justice Project (ITJP), which filed the cases against Jayasuriya, said it wanted both Brazil and Colombia to revoke his diplomatic immunity. But two days after the cases were filed, Jayasuriya left Brazil where he has been based since 2015. The foreign ministry in Colombo denied media reports that he fled and said he had completed a two-year term. International rights groups have said that at least 40,000 ethnic Tamil civilians were killed by security forces while crushing the rebels in the final months of Sri Lanka’s 37-year civil war, which ended in May 2009. Tiger rebels have also been accused of using human shields and killing civilians in their guerrilla war for a separate homeland for the minority ethnic Tamil community in the Sinhala majority nation. Fonseka, who led Sri Lanka’s armed forces between December 2005 and July 2009, insisted Friday that troops under his command did not commit atrocities. Fonseka himself had been accused by rights groups of ordering indiscriminate shelling of hospitals and bombarding civilians. He has denied the allegations. He said he was pressing for an independent investigation to clear the name of the military and to punish any offenders. The former Sri Lankan government faced international censure for refusing to acknowledge that civilians were killed while battling Tamil separatists. However, the new administration which came to power in January 2015 has said it was willing to investigate specific allegations of wrongdoing and pay reparations to victims. That can not be leadership when he goes against his subordinate. HE knows Sri lanka is all about politics and the life is not easy. that is a cheap shot.